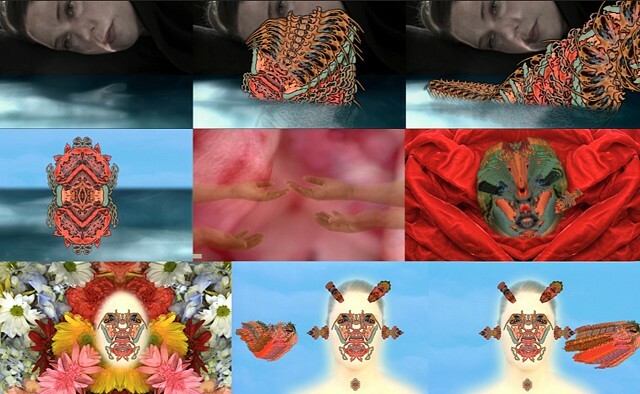 Colleen Keough is a Trans-Disciplinary Intermedia artist working in time-based media, performance, installation, print media and hybrid art forms. Her work explores the intersection of pop culture, identity, myth and technology through integrated media works which investigate the voice, and fragmentation of identity and language through electronic modes of communication and identification. 2018 LOUD, Hampden Gallery, Incubator Space, UMASS Amherst, Amherst MA. 2017 Blow-Up Chicago International Arthouse Film Festival , Official Selection: VILLUSION. 2017 Frame & Frequency 3 VisArts Rockville, Maryland & the Museum of Contemporary Art Bogotá, Colombia. 2014 Solo Show, Single Channel Videos, Ernestine M. Raclin School of the Arts, Indiana University, South Bend, IN. 2013 "imaginatio(n)ow" Institute for Humanities Research, Arizona State University, Tempe, AZ. Cite' Internationale des Arts in Paris, France. 2011 University of Buffalo Visual Studies Gallery - "Circumpolar Go-Shapers"
2010 'Entree' in Bergen, Norway - Opening June 16 -20th.